This is my latest build and it replaces my 8-year old PC, which is too old to run recent games. I mostly game on the TV, which is only 1080p capable, and my budget was around EUR 1000. I ended up going a bit higher, though, as I also wanted an HTPC case that fits my TV furniture. Silence is also important, so I'll probably end up buying a fan controller, or replacing the included case fans, as they are a bit noisy at full speed. One of the reasons I went with an M.2 SSD was to reduce cable clutter and keep a decent air flow. The fully modular RMx 550W also helped. I wasn't interested in overclocking, so I went with a B150 motherboard and the regular i5-6600. I received the GTX 1060 about 2 weeks after all the other parts, due to limited stock. 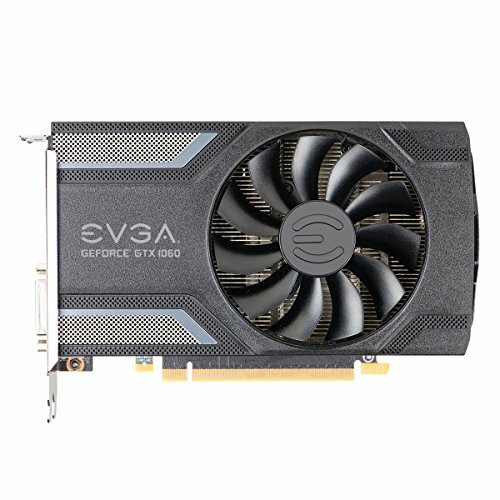 I opted to go with the EVGA GTX 1060 SC due to its small size. Length was not a problem with this case, but width (or height?) was. The case is only 15cm high and, with the card installed, there's around 1.5cm of space for the PCI-E power connector. The cable is a bit stiff so I had to squeeze the top cover a bit. Check image #9. With all the parts installed, only the case fans are audible. On idle, the GPU and the PSU fans do not spin and the CPU fans are almost completely silent. On full load, all fans spin, but the case fans are again the most noisy ones, masking all others. That said, the noise is a silent "whoosh" which I suspect is the result of the air going through the dust filters. I'm not bothered by the current noise, since the PC is in the living room, where there is usually more noise, except for late night. I'm thinking of experimenting with 12V-to-9V adapters to see how they will affect noise and temperatures. The latest i5 CPUs are great for gaming and general usage without breaking the bank. The price-to-performance ratio is similar for all 3 (6400, 6500 and 6600), so if you're not interested in overclocking, you just pick whichever fits the budget. I'm happy with the 6600. 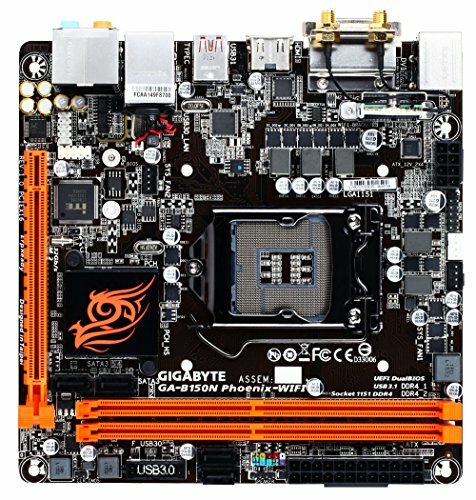 Great little motherboard. It has 2 case fan headers (only CPU is PWM-compatible, case fan is only voltage controlled! ), 2 USB 3.1 ports, one of which is Type-C. M.2, WiFi and Bluetooth also a plus. My case supports micro-ATX motherboards, but I couldn't find one with the same features, so I went with this mini-ITX one. Beware, you can't overclock your CPU or the memory with the B150. 4 stars due to the misleading case fan header. It's a 4-pin header but does not support PWM. Basic value-for-money RAM. It gets the job done. The standard 850 Evo SSD in an M.2 form factor. Great option to reduce cable clutter. A bit more expensive than the regular 2.5-inch drive. I got the card with the latest BIOS revision which allows for semi-passive operation. The fan stops when the computer is idle and the temperature is low. I managed to push the card to 78°C by running Furmark and Prime95 together. The fan was spinning at 50% at around 1300 RPM and was very silent, while the GPU core boosted at 2012 MHz. As you already know from all the published reviews, the GTX 1060 is perfect for 1080p, which is my TVs max resolution. I'm very satisfied with this card, great value for money and the size is perfect for my HTPC case. This is case is good. I haven't found any other alternative that fits my TV furniture. It's not very deep and the height is just right. It has the dimensions of a typical AV-receiver. There's plenty of space inside, but many modern GPUs won't fit, especially with the power connector on top. It includes 3 case fans (not PWM compatible), however, they are not very silent at full speed, and their dust filters are on the inside, meaning there's no way to clean them without opening the case. If you don't have the space restrictions I have, there are better cases out there. 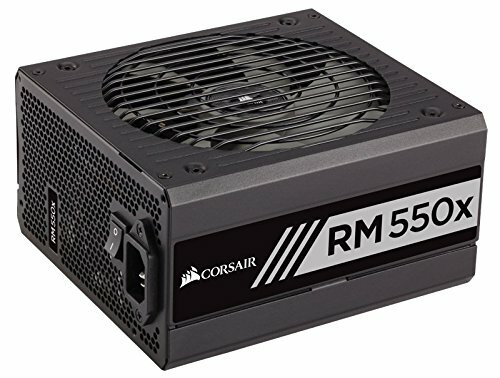 Great PSU for a single-GPU build. It's fully modular, which is essential for a small case, and semi-passive, which keeps the noise down during idle/regular usage. Oh hey, I'm not the only one with that monitor! I think I've had it for 8 years or so. Still working fine. I don't use it very often nowadays. I still use it daily. Its been in the family for 9 years and no problems. Exactly! I also got a short power cable extension and bent that instead. I didn't want to risk destroying the PSU cables. I don't have this case anymore, however. The temperatures were a bit too high and I moved the build to a Thermaltake Core V1. Much easier to work with and superior airflow.